Arrive Delhi – 2 Nights > Train Gwalior 1 Night ( Gwalior Fort ) > Train Bhopal 2 Nights ( Sanchi Stupa ) > Drive Indore 1 Night > Drive Dhar 1 Night > Drive Maheshwar 2 Nights ( Ahilya Fort ) > Drive Aurangabad 3 Nights ( Ajanta & Ellora Caves ) > Flight Mumbai 1 Night & Leave. Today you are transferred Delhi Railway Station to board Train for Gwalior. Upon arrival in Gwalior Railway Station you are met by our Representative and transferred to your pre booked Hotel. Afternoon city tour of Gwalior visiting Gwalior Fort – a fort that is considered as a pearl among the fortress of India, Tomb of Rani lakshminai the famous freedom fighter, Jai Vilas Palace – similar to the style of the ‘Palais de Versailles’ in France which has a mix of Tuscan, Italian and Corinthian styles of architecture, and Tansen’s Tomb – the world-famous musician’s tomb. Today you are transferred Gwalior Railway Station to board Train for Bhopal. Upon arrival in Bhopal Railway Station you are met by our Representative and transferred to your pre booked Hotel. Afternoon city tour of Bhopal visiting Taj-Ul-Masajid – one of the largest mosques in Asia and Dhai Seedi Ki Masjid – one of the smallest mosques in Asia. Overnight stay at the Hotel in Bhopal. Morning excursion to Sanchi Stupa – it is a brick structure built over the relics of the Buddha, a world heritage site which was commissioned by the Emperor Ashoka the Great in the 3rd Century BC. Afternoon continue the visit to Bhimbetka – is a World Heritage site and has the ancient cave paintings of the world. It depicts the earliest traces of human life in India. After breakfast leave by Private Vehicle for Indore. Upon arrival in Indore check in at your pre booked Hotel. Afternoon visit to Kanch Mandir – a Jain Temple whose architecture is done in glass, the walls, ceilings, floors, pillars, paintings and door knobs etc are entirely made with glass, Rajwada, Lal Bagh Palace, and Chattri Bagh. After breakfast leave by Private Vehicle for Dhar. Enroute visit to Mandu – or Mandavgarh, is a ruined city, the famous Mandu Fort is known for its fine architecture. Upon arrival in Dhar check in at your pre booked Hotel. Overnight stay at the Hotel in Dhar. After breakfast leave by Private Vehicle for Maheshwar. Upon arrival in Maheshwar check in at your pre booked Hotel. Afternoon explore the town Maheshwar and surroundings. Overnight stay at the Hotel in Maheshwar. Today visit the Ahilya Fort, built high above the banks of the sacred Narmada River. And also explore the Ghats of Maheshwar. After breakfast leave by Private Vehicle for Aurangabad. Upon arrival in Aurangabad check in at your pre booked Hotel. Overnight stay at the Hotel in Aurangabad. Morning proceed for visit to Ajanta Caves – a UNESCO World Heritage Site, these are the rock -cut cave monuments containing paintings and sculptures depicting both the Buddhist religious art and the universal pictorial art. Morning proceed for the visit to Ellora Caves – an archaeological site famous for its ancient caves made in rock cut architecture, The 34 “caves” depict being the Buddhist, Hindu and Jain rock cut temples. Afternoon visit to the Bibi ka Maqbara – a replica of the Taj Mahal, Daulatabad Fort and Aurangabad Caves. Today you are transferred to Aurangabad Airport to board Flight for Mumbai. Upon Arrival in Mumbai Airport you are met by our Representative and transferred to your pre booked Hotel.Afternoon proceed on a guided tour of the city, which is distinctly tropical. Its weathered Victorian mansions, some still privately owned, and grand public buildings, many beautifully lit at night, stand as lingering reminder of the days of the British Raj, First visit the Gateway of India, hastily created as a symbol of welcome to Queen Mary and King George V of England on their to India in 1911. Next visit the Hanging Gardens, perched at the top of Malabar Hill, which provide lovely views over the Arabian Sea. Lemon Tree offers air-conditioned rooms with modern interiors and flat-screen cable TVs. It houses a fitness room, business centre and a café. Lemon Tree Hotel Indore is 3.3 km from the beautiful Lal Bagh Palace and provides free parking. It is 10 minutes’ drive from Indore Railway Station and 30 minutes’ drive from Indore Airport. Featuring vibrant prints and wood flooring, rooms come with a seating area, minibar and work desk. Tea/coffee making amenities and free bottled water are also provided. Staff can provide concierge service and travel assistance. Laundry and car retnal services are available. International favourites and local dishes can be enjoyed in the casual setting of Citrus Café. Slounge is ideal for game of pool and after-meal drinks. The Central Park is located in Gwalior. The property is 5 km from Jai Vilas Palace and Museum and 8 km from Gwalior Fort. The Local Bus Station and Gwalior Railway Station are 1.5 km. The Gwalior Airport is 15 km. Rooms here will provide you with a flat-screen TV, air conditioning and a minibar. There is also an electric kettle. Featuring a shower, private bathrooms also come with a hairdryer and a bathrobe. Extras include a seating area and cable channels. The Hotel Offers 81 rooms At The Central Park you will find a restaurant, 24-hour front desk and a massage parlour. Other facilities offered include BBQ, meeting facilities, a tour desk and luggage storage. Currency exchange and car rental can be arranged. Free Wi-Fi access is available. Dining options include Café Royal that serves Indian, Chinese, Continental and Italian cuisines, Café Rose Bud, a coffee shop and Rivera Bar. 24-hour room service is available for in-room dining. Originally built in 1865 this exquisitely restored Palace is an exclusive heritage hotel for travelers seeking a unique experience in hospitality. Featuring rich period interiors and situated amidst acres of lush estate in the tranquil Malwa countryside, the Jhira Bagh is a dream destination in itself as well as the perfect base for exploring Central India. Tastefully designed around natural light and original architecture, the Jhira Bagh offers 15 exclusive rooms in three categories. DELUXE ROOM: Spacious dimensions with18 foot high ceilings, Charming Period Interiors, Vintage beds, Couch Settee, Work Desk, Safe & Wardrobe, Air Conditioned and Non Air Conditioned options. DELUXE SUITE: Spacious dimensions with 18 foot ceilings, Separate Bedroom and living room with Period Interiors, Verandah with Sit-out, Vintage beds, Couch Settee, Work Desk Safe & Wardrobe, Air Conditioning. SUPER DELUXE SUITE: Spacious dimensions with 18 foot ceilings, Front Facing with easy access to dining hall and courtyard, Separate Bedroom and Living room with our most luxurious period interiors, Private Verandah with Sit-out, Hand-sculpted Vintage bed, Couch Settee, Work Desk, Safe & Wardrobe , Air Conditioning. The Ambassador Ajanta offers 5-star accommodation with steam baths, a fitness centre and large outdoor pool. Wi-Fi access and free private parking are available. Hotel Offer 92 Rooms. The Ajanta Ambassador is a 25-minute drive from downtown Aurangabad and the railway station. 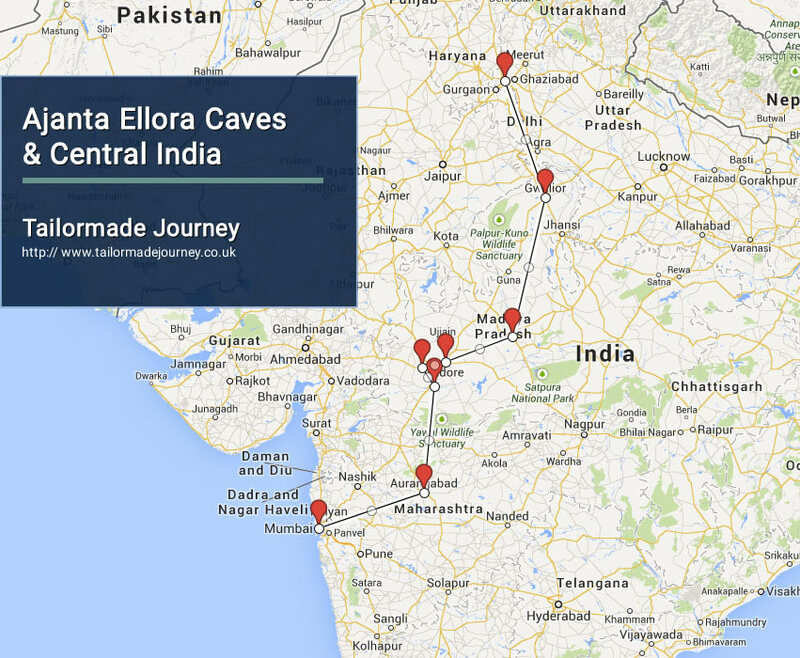 It is 30 km from the historic Ellora Caves and 90 km from the Ajanta Caves. Air-conditioned rooms at Ambassador Ajanta feature comfortable seating areas, cable TV and ironing facilities. A fridge and tea/coffee making amenities are provided. Bathrobes, toiletries and a hairdryer can be found in private bathrooms. Guests can lounge by the outdoor pool and sunken bar or relax in the sauna. Tennis and squash courts, as well as a fitness centre are available for workouts. Travel arrangements can be made at the 24-hour front desk, which also provides laundry service. A variety of Indian, Chinese and European dishes can be sampled at The Ambassador’s multi-cuisine restaurant. Keys Hotel features a restaurant and a bar. Offering rooms with a daily buffet breakfast, it also provides 24-hour room service. Keys Hotel, The Aures is 2 km from Aurangabad Railway Station and 10 km from Aurangabad Airport. Fitted with wooden flooring, modern rooms feature a personal safe and a 32-inch flat-screen TV with satellite channels. Private bathrooms come with a hairdryer. Tea/coffee making facilities and a minibar are included, along with bottled water. Guests can use the business centre, or make travel arrangements at the tour desk. The front desk is open round-the-clock and on-site parking is free. The multi-cuisine Blue Cilantro serves breakfast, lunch and dinner, offering á la carte and buffet options. Open from 11:00, Harry’s offers a selection of wines, cocktails and mocktails. Located a short drive away from Mumbai’s business district, Kohinoor Continental offers free parking, a fitness centre, an outdoor pool and restaurants. Rooms feature carpeted, wooden or tiled flooring. Hotel Offers 137 Rooms Kohinoor’s rooms are also equipped with air conditioning, a private bathroom with hairdryer and a writing desk. A minibar and coffee/tea making facilities are provided. The hotel’s restaurant with a pool view serves international cuisine. Guests can also sip drinks at the 24-hour cafe, located in the lobby. Kohinoor Continental has a florist and a tour desk. Car rental and airport shuttle are available. Kohinoor Continental Hotel is about 2 km from the Chatrapati Shivaji International Airport. Radisson Blu Marina Connaught Place offers convenience with its prime location and 5-star facilities. It features a full-service spa, fitness centre and 4 dining options. Hotel Offers 99 Rooms Just 150 metres from Airport Express Line Metro Station, Radisson Marina Hotel Connaught Place is a 10-minute drive from New Delhi Railway Station. Indira Gandhi Airport is a 30-minute drive away. Well-furnished rooms at Radisson Marina Delhi come in calming neutrals and feature flat-screen cable TVs. In-room conveniences include ironing facilities and a safe. Sauna facilities and soothing massages at the spa await after a day of activity. Staff can assist guests with their business and travel needs. Guests can sample Indian specialities at The Great Kabab Factory while The Connaught is ideal for fine wine and whiskies. Fifty9 offers varied international menus.